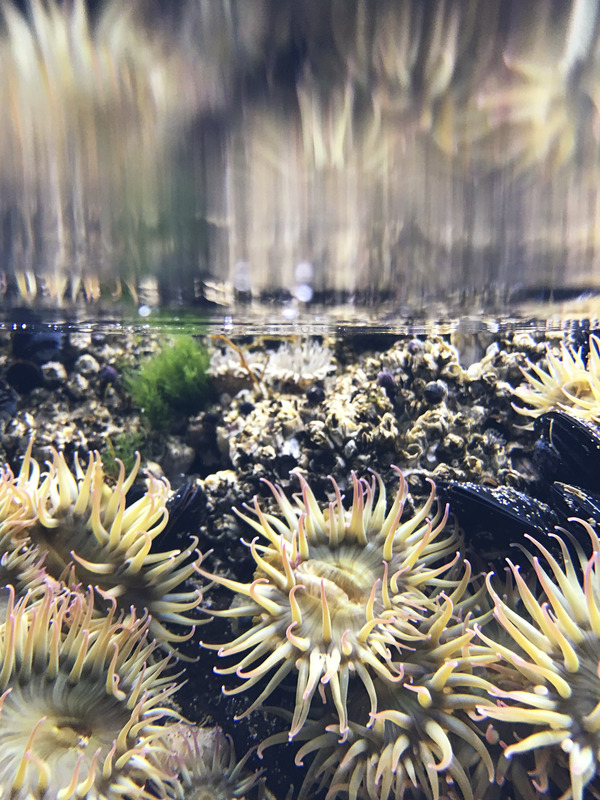 Probably the most alien, yet accessible world available for one to photograph is the Pacific Tide Pool. Every square inch of one of these little ecosystems brims with beautiful, indescribable treasures. Somewhere around 13 years ago, I started shooting underwater for my second time – This time with digital cameras. I started with an Olympus 5060 (6 Megapixel Point-and-Shoot) along with its’ associated housing and an Inon underwater strobe – which set me back about $1,500. It was worth every penny. The image quality was horrific and the auto focus was glacially slow – but in the end the images were usable for the time. Now you can just dip the new smart phones in the water and they work better than the Olympus did. They’re rated for shallow water for a short duration. Google and Apple’s news phones boast an IP67 rating, which means the phone is fully sealed from dust and water. It can be submerged at a depth of 1 meter for 30 minutes. Still, both Apple and Google don’t cover submersion in their warranties. With my new water series, ‘Submerisve Activity’, I am simply breaking the surface – but I am thoroughly enjoying this gentle reentry into underwater photography.